For those of you inclined to prayer, any and all energies that can be spared for my Mother would be appreciated. She went for a mammogram yesterday, was called today and was told she needs to go back for more tests and to see a specialist. They have not said if it is cancer of not. I am concerned because she has had pre-cancerous/cancerous cells removed twice already. She is already ill with Arthritis, Fibromyalgia and Spinal Stinosis, among a handful of others. She’s 59 years old. I’m trying really hard not to freak out about this. Instead I will pray. I’ve been wanting to make tamales for years now. Maybe months but it feels like years. I haven’t seen corn husks for sale and even if I did I couldn’t buy them in good conscience. 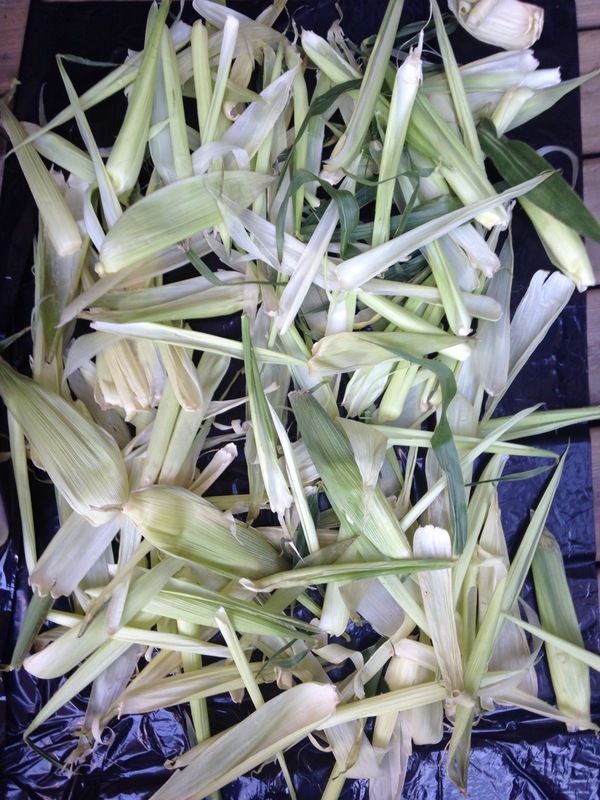 I live in a region that produces a lot of corn so I have husks drying in the sun. Hazelnuts! Or Filberts. I’ve recently discovered they are actually two different types of nut but are so similar to be all but interchangeable. I’m going to identify the wild trees I’ve been collecting from this week. 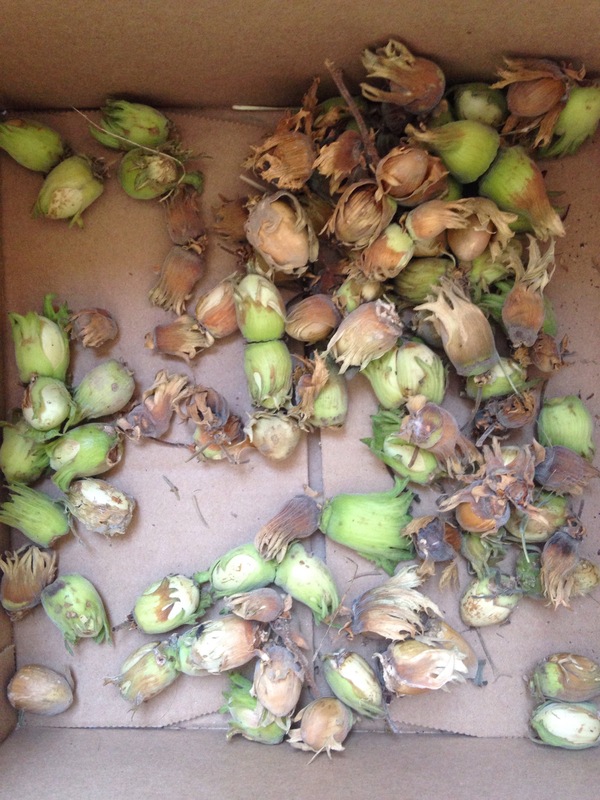 I’ve got about a pound of nuts drying in a cardboard box on my patio. No direct sun but will still get all the warmth. 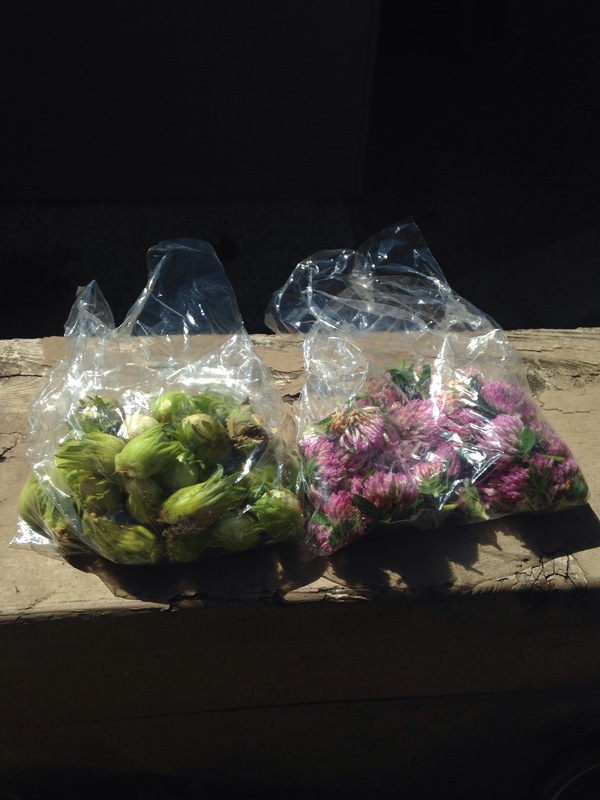 My foraging haul for the day: hazelnuts and red clover blossoms. The nuts are for eating, the blossoms for tea.